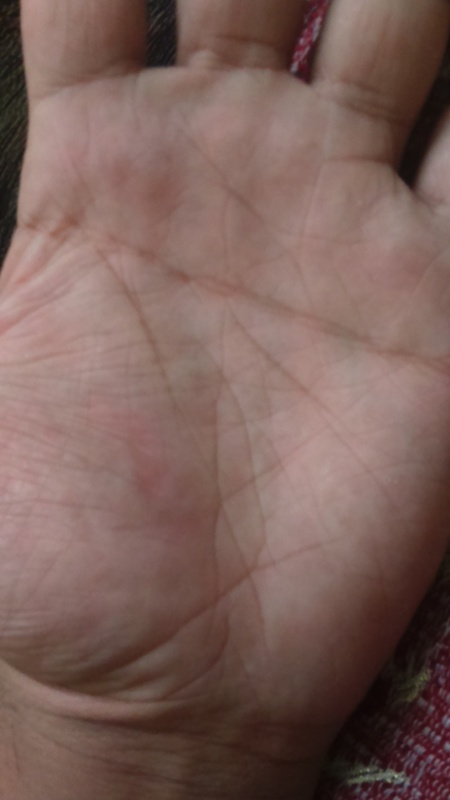 Please could anyone read my palm.. 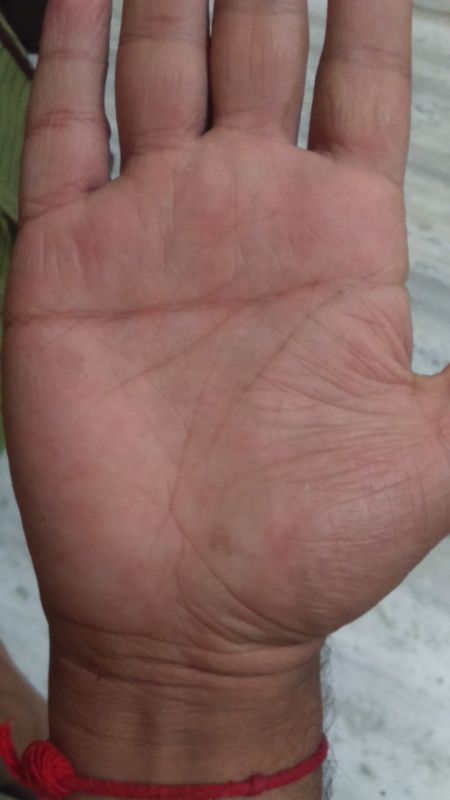 I am a male aged 21 and write with right hand.. My lines are not good in left hand.. Please explain I simply get depressed all the time for silly reasons and keep on thinking bad about something.. That what bad may happen please help.. For any other I will post new pics.. I am nervous.. about my future.. I will be thankful to you..
manucanac wrote: Please could anyone read my palm.. I am a male aged 21 and write with right hand.. My lines are not good in left hand.. Please explain I simply get depressed all the time for silly reasons and keep on thinking bad about something.. That what bad may happen please help.. For any other I will post new pics..
You have simian Line . But Simian Line is not bad . yes it gives emotional trauma . Which is your dominating hand and how old are you . Chant Gaytri mantra Wear coral stone this will give mental strength . we all have good and bad phases in life . You need to check your health . I write with right hand and my age is 21.. Sure maam I will chant.. My only fear is lifeline, fateline and my career.. Thats all maam..